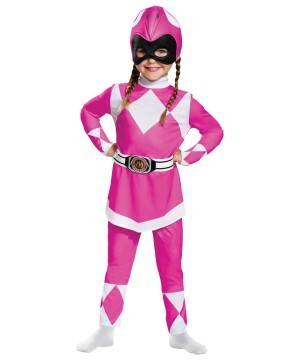 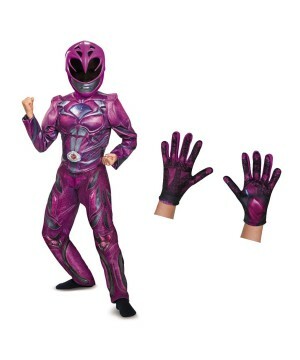 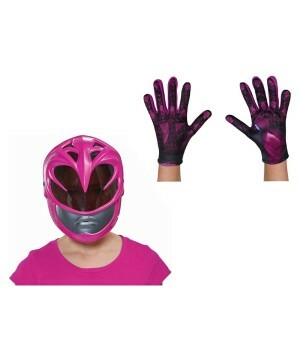 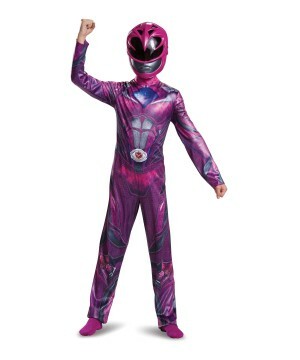 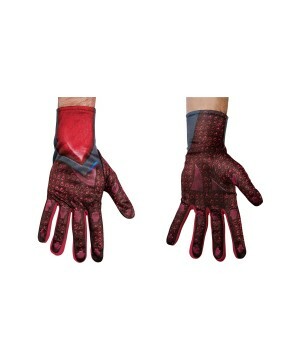 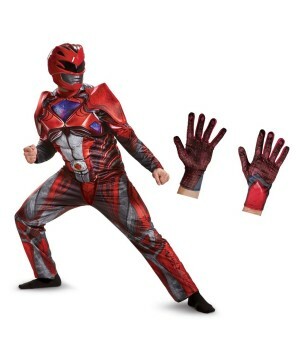 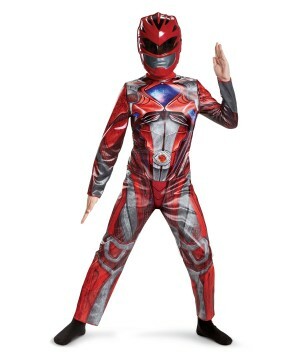 This is an officially licensed Power Ranger (tm) costume. 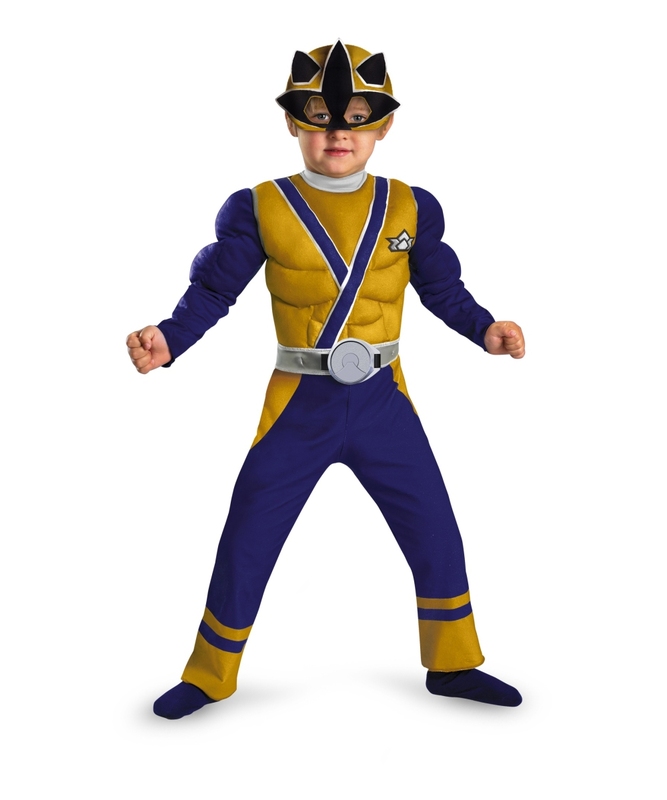 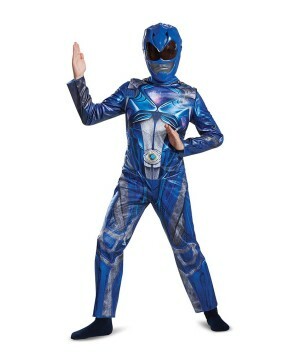 Power Ranger Samurai Gold Ranger Muscle Kids Costume includes a blue and yellow jumpsuit featuring muscle torso and arms, Power Rangers logo and Samurai designed sit, attached belt with buckle and soft fabric character headpiece. 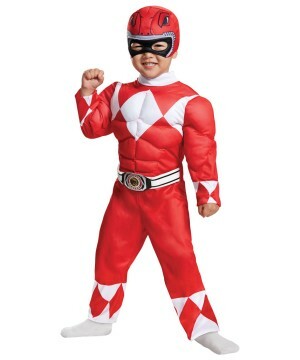 This heroic Halloween Costume is available in Toddler Size (2T), (3T-4T), and child size Small (4-6). 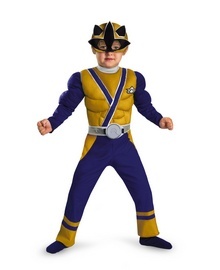 This is an officially licensed Power Ranger (tm) costume. 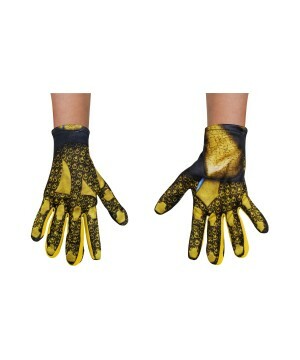 Please note: Does not include socks.